Four more wonderful new restaurants have joined as club properties this week and we are delighted to share them with you. Whether you are treating your dad to a fabulous steak for Father’s Day or fancy a sun downer watching the sun over Waterloo bridge we have two inspiring London restaurants for you to try. If you are heading over to the east of the country this summer then check out the stunning properties we have in the Norfolk salt-marshes or in the delightful village of Lavenham in Suffolk. Upholding the highly acclaimed 50’s restaurateur Alistair Greig’s reputation for serving the best steaks in London, Greig’s is a wonderfully traditional British Grill Restaurant. The interior is elegant and sophisticated leaning towards the traditional with seats beautifully dressed in monogrammed red velvet, wood panelling from ceiling to floor and waiters dressed in waistcoats. Club Offer: Members receive a 50% reduction from the total food bill when dining from the a la carte menu and enjoying lunch from Sunday to Friday. Click here for more details. Perched on the edge of the haunting Norfolk salt marshes, Titchwell Manor is a former farmhouse which fairly oozes atmosphere and character. With views of the Marsh Harriers feeding their young, with succulent local produce sizzling on the plate and with the comfort and warmth of a lovely old farmhouse enveloping you, it’s as though you’ve come home. Eric Snaith’s culinary wizardry ensures that his good, wholesome local ingredients are lit up with a touch of magic. Each dish is lovingly thought-out and temptingly presented. A home from home and an absolute joy. Club Offer: Members receive a 25% reduction from the total food bill when having dinner Sunday to Friday. Click here for more details. The Great House is an atmospheric and softly beautiful old house in the pretty village of Lavenham. Built in the 14th century, the lovely Georgian façade was added in the 18th. It has been home to famous collectors, artists and writers and has been a shining light in the world of cuisine since 1985. Enter through a heavy, latched door into the atmospheric restaurant and bar where features include exposed beams and red bricks, plus a huge fireplace. Furnishing is contemporary and smart and the menu is uncompromisingly French and superb. Club Offer: Members and their guests receive a complimentary glass of Champagne when enjoying lunch Wednesday to Sunday and dinner Tuesday to Thursday. Click here for more details. The 85-cover Pennethorne’s Cafe Bar is inspired by Pennethorne’s travel across Europe during the Grand Tour. The menu brings classic flavours from France and Italy to life with a modern English twist. The menu, designed by head chef Richard Robinson, features small dining plates, salads, potted meats and sharing boards. The specialist breads, cakes and pastries are made in site at Somerset House and go perfectly with their artisan coffee offering. 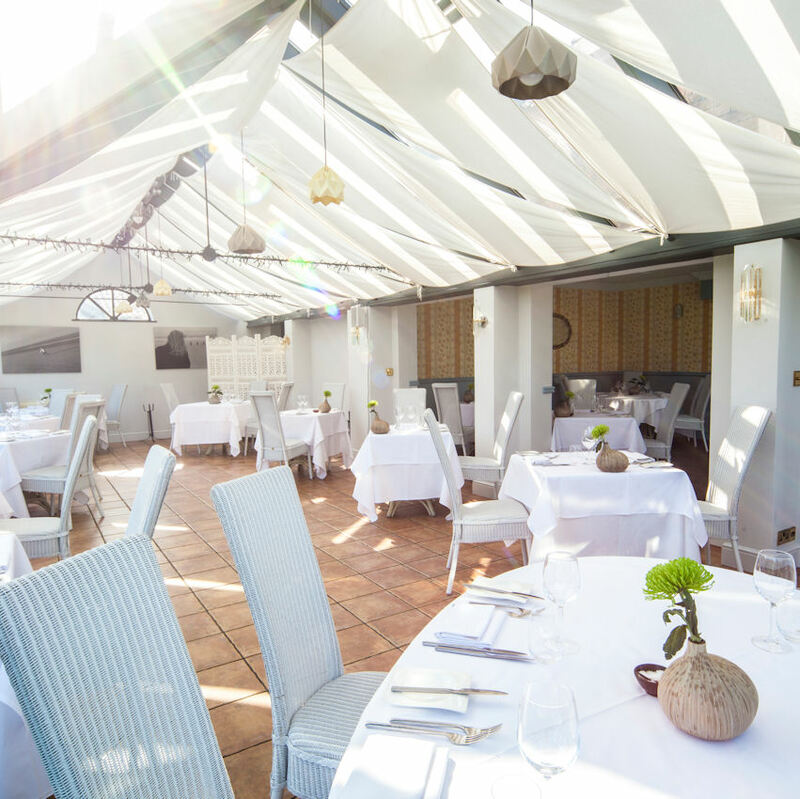 Pennethorne’s also boasts an impressive outdoor dining area, just off Waterloo Bridge that is perfect for the warm summer evenings. Enjoy the Waterloo sunset while sampling a cocktail outside the cafe bar. Club Offer: Members receive 20% reduction for total bill when taking Breakfast, Lunch, Afternoon Tea and Dinner on Saturdays. Click here for more details. Not a member? Why not join today and start receiving fantastic benefits in these and over 400 other leading fine dining restaurants. Click here for joining details or peruse www.luxuryrestaurantguide.com for more great offers.